We keep hearing about healthy food, about healthy fats, and all the nutrients we should be getting from food. But most of the times we simply go by the labels of products, truly believing that they have Omega-3, Omega-6, vitamins, or even some made-up compounds that sound really important but do not exist. So our only way out of the confusion we are in when standing in front of the shelf is to get informed about what these things are. Omega-3 is a fatty acid, also known as polyunsaturated fatty acid (PUFA). Without getting too scientific, note that the name of the acid is given by the position of a double carbon bond (C=C), at the methyl end of the carbon chain. The first end of the chain is called alpha, while the second one is called omega. The double carbon bond is set at the third carbon atom of this end of the chain. Although Omega-3 fatty acids are essential for human health, our bodies cannot manufacture them. This is why consumption of foods rich in these fatty acids is important. Such foods are salmon, mackerel, flaxseed, chia seeds, walnuts, canola oil, tuna, cod liver, halibut, herring, sardines, olive oil, garlic, and trout, to name a few. If you fail to include many of the above in your daily diet, you can simply take Omega-3 supplements for the same benefit. Omega-3 fatty acids have anti-inflammatory properties and they help lower the risk of heart disease and stroke as they actively decrease the level of your “bad” cholesterol. Other ailments that are improved by the intake of Omega-3 are arthritis, lupus, osteoporosis, diabetes, irritable bowel disease, breast cancer, asthma, and colon cancer. It can also help correct various forms of deficiencies such as dry skin, fatigue, poor circulation, mood swings, poor memory, or depression. Omega-6 is a fatty acid with a double carbon bond on the 6th position of the methyl end. It is a polyunsaturated fatty acid. This fatty acid is essential for humans, but it cannot be produced internally, therefore it must be taken from food. You get Omega-6 mainly from oils and seeds, namely palm, soybean, rapeseed, and sunflower oil. Other sources include durum wheat, pumpkin seeds, whole-wheat bread, cereals, hulled sesame seeds, nuts, eggs, poultry, whole-grain bread, grape seed oil, evening primrose oil, borage oil, blackcurrant oil, hemp oil, and other such products. The main role Omega-6 fatty acids play is that of lowering cholesterol and providing a much-needed support for the skin. They are mainly found in food and processed as such. Among the benefits of its consumption, it helps diabetic neuropathy, high blood pressure, allergies, rheumatoid arthritis, ADHD, eczema, menstrual pain, and breast cancer. Omega-6 can also ease the symptoms of menopause. 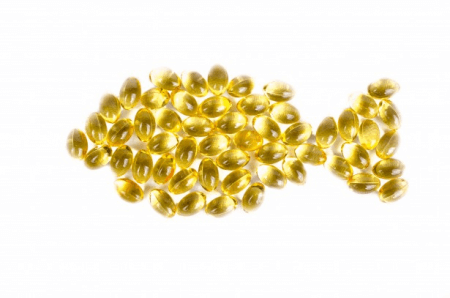 So what is the difference between Omega-3 and Omega-6? In chemical terms, the difference between Omega-3 and Omega-6 is the position of the double carbon bond: at the third carbon atom from the methyl end for Omega-3 and between the sixth and seventh carbon atom from the methyl end for Omega-6. Both are PUFAs and they play important roles in the human bodies, although they have relatively different sources. Omega-3 is mainly found in fish and nuts, while Omega-6 is found in oils and seeds. They both have anti-inflammatory properties, although Omega-3 is good for the circulation and for preventing heart disease and various forms of digestive system cancers, while Omega-6 is good for arthritis, ADHD, breast cancer, menstrual pain, and menopause. They both help improve skin conditions.